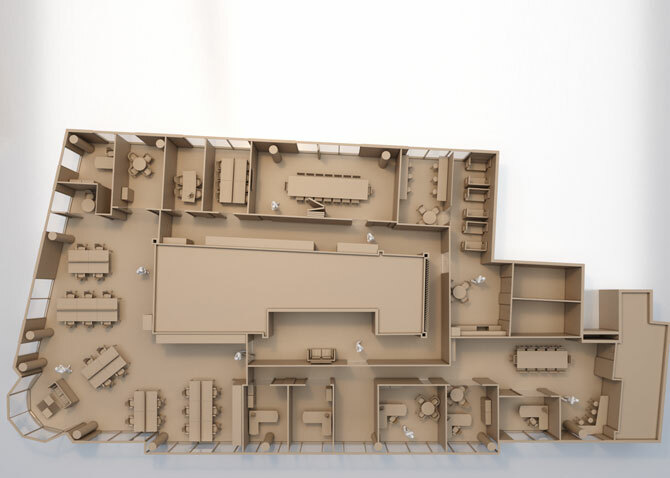 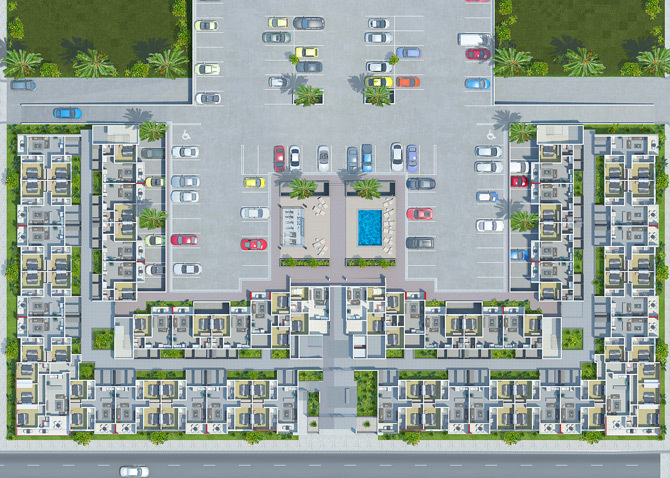 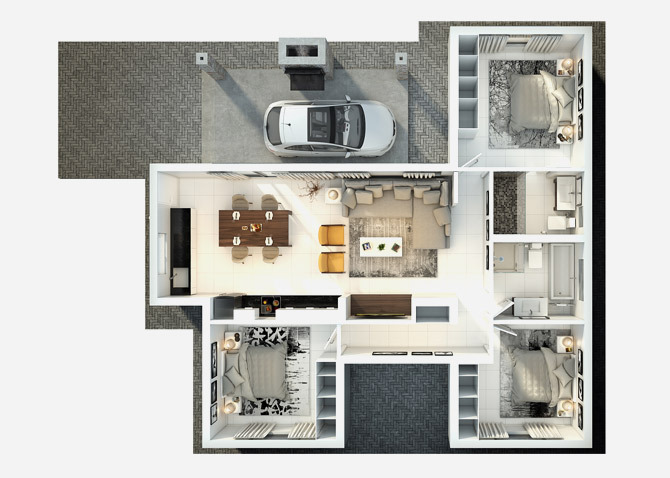 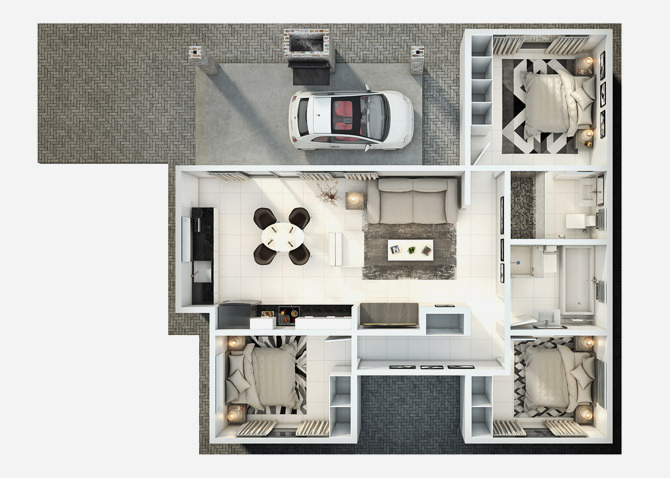 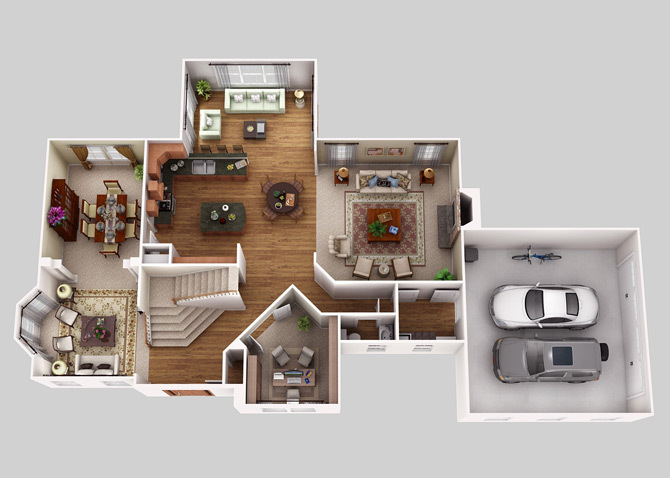 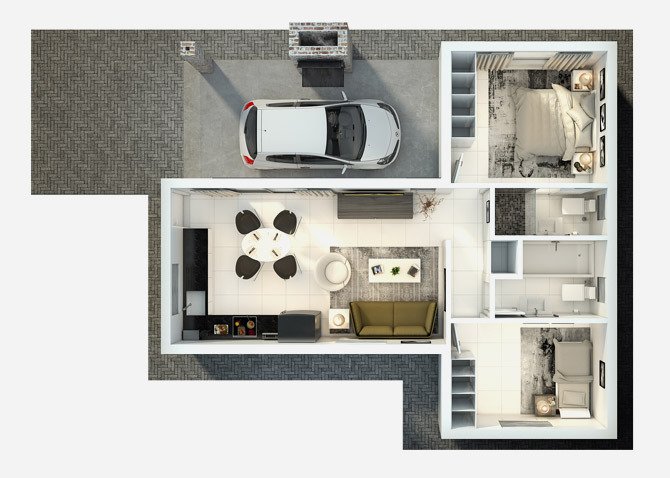 2D and 3D Floor Plans are great way to engage an interested buyer and provide technical and insightful details through a single image, to ensure that your property is presented to its fullest potential. 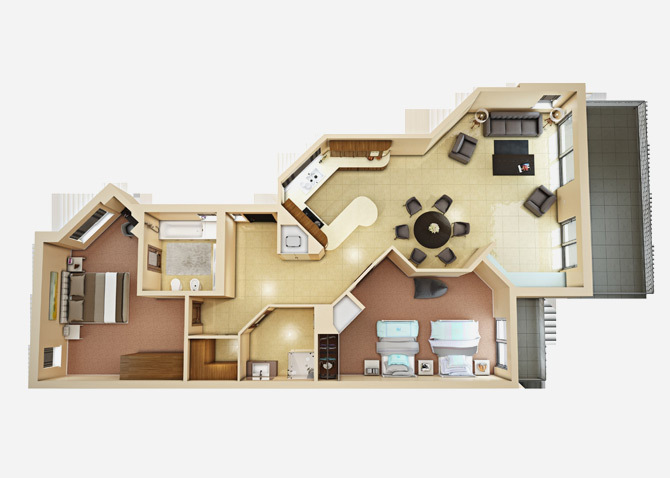 Use this as an essential guiding tool that provides detail of the scale, size, and potential use of space. 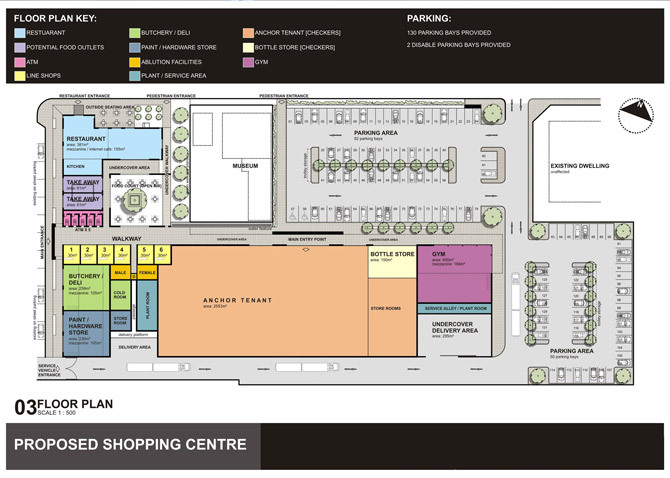 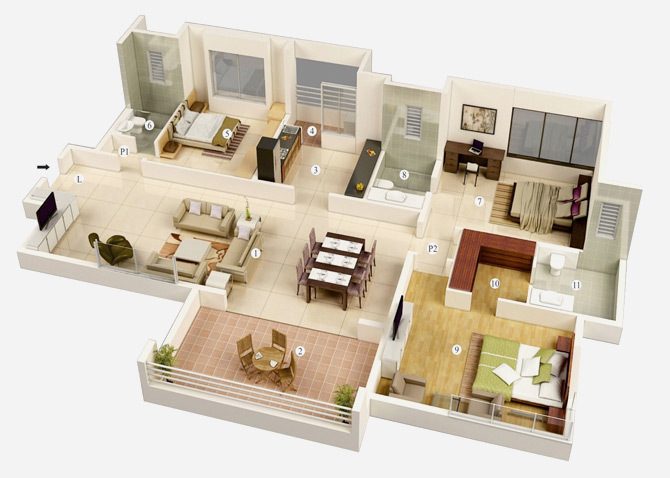 2D – Clear and uncluttered 2D Floor Plan designs can assist potential buyers in choosing their perfect property. 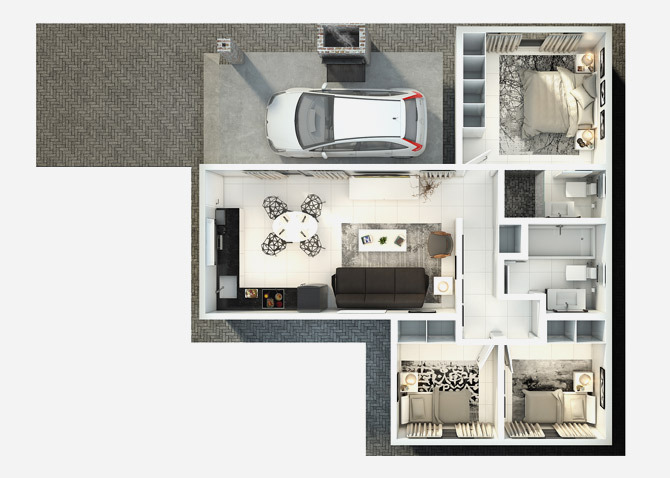 By adding colour and inserting some furniture to enhance the potential uses further, by showing the potential in the property. 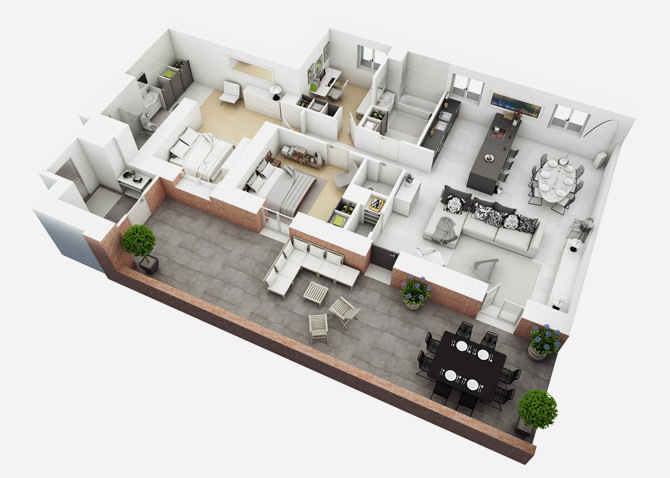 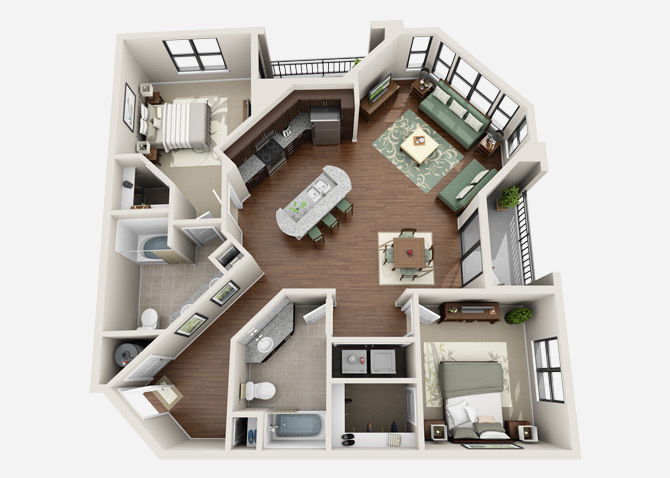 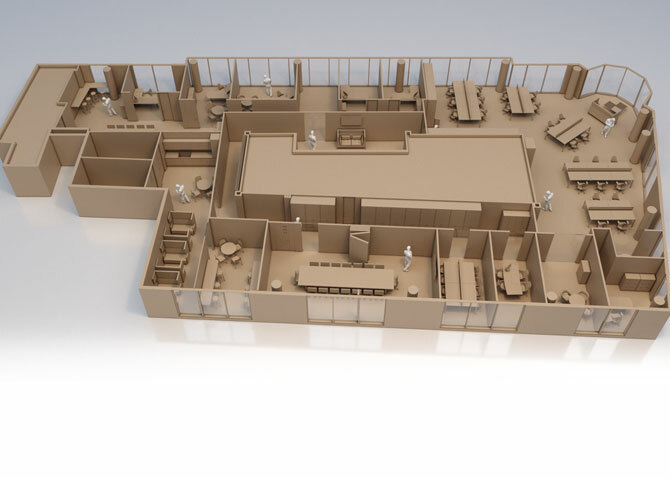 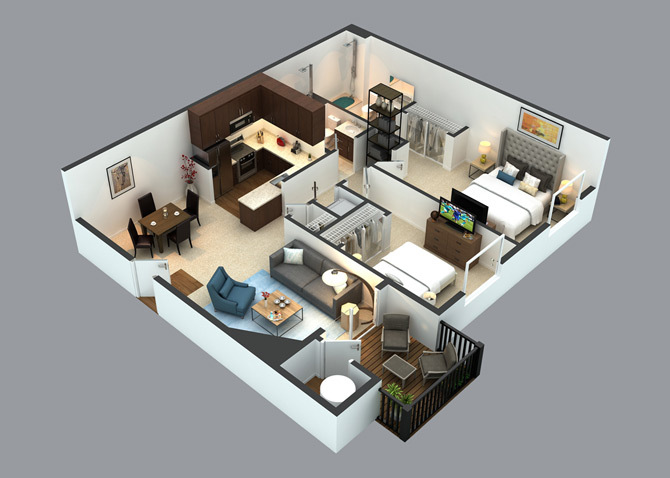 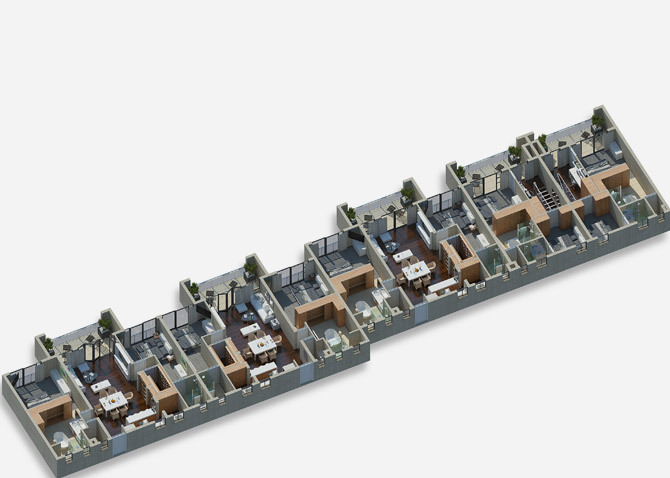 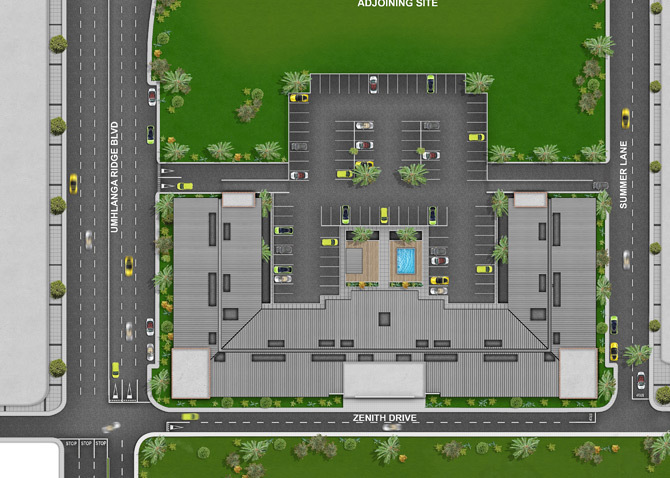 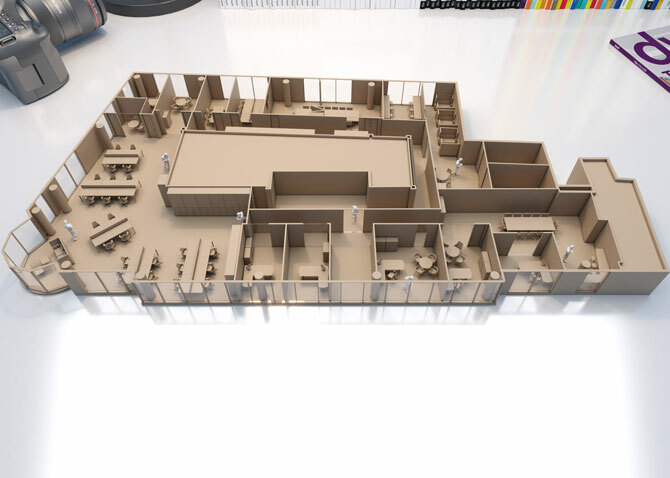 3D – Through the provision of 3D Floor Plans, take your properties design visualization potential to the next level. 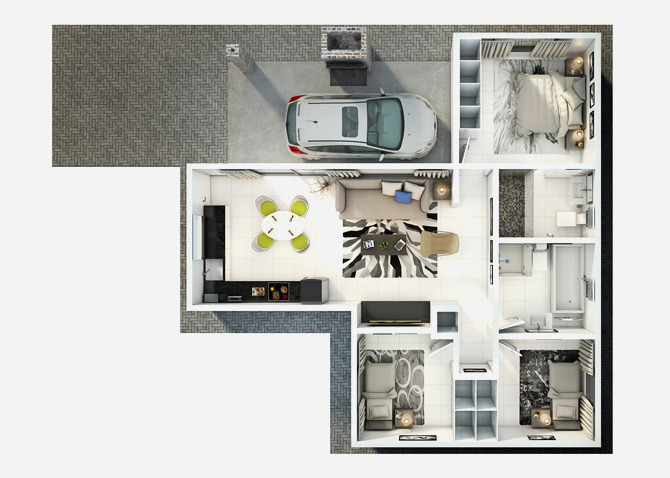 You will be able to market your property in detail, without missing a beat. 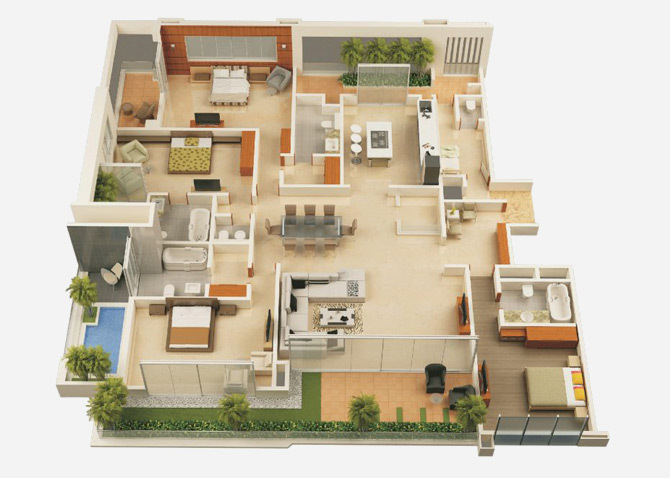 With a choice of your wall top colours, materials and textures to personalize.